As an accounting concept, “Profit and Loss Statement (P&L)” of a business is not understood by every common man. However, it is not very difficult to grasp the idea once you get into the terminology. More importantly, if you are an entrepreneur and you are going even for a small business loan, you not only need to know what a P&L statement is but also submit one while applying for funding. In simple terms, one could define the profit and loss statement (P&L), or in other words- income statement- as a financial report of the performance of a business. The report, which could be monthly, quarterly or yearly, records every revenue and expense took place during a specific period. Given the nature and magnitude of a business- how many people involved in the production and distribution etc.- the P&L statement could be very simple or quite complex. P&Ls are incredibly important. Firstly, because of their requirement from the law perspective. And, secondly, they give a chance to check the status of your business in a unique way. Before adding new objectives in terms of expansion of your firm, they are handy documents to guide you. Revenue- revenue is the total sum of the sales of- your business products, the value generated by selling assets and appliances, and tax refunds (if any). That means it accounts for every form of the inward flow of earned money into the business. Expenditures- The expenditure section in the statement not only talks about the total expenditure- various ways of spending money– but reveals every single detail about specified expenditures. This is very important since it is difficult to remember every minute spending. COGS- The full form of COGS is “cost of goods sold”. This cost is not the price which a product was sold at. This cost implies the cost of raw material used to prepare the product, the expertise invested and the time spent. OPEX- OPEX is the short form of operational expenditures. Apart from COGS, there are other forms of expenditures involved with the production. The cost of manpower, transport, skill building, technology and marketing etc. could be major expenditures as well- depending on the operation size of the business. Depreciation- Depreciation is the loss of value of an asset over time by default. For example, if you buy a new bike and sell just after a week, no matter how the condition is, you have to sell at a lower price than purchased. Similarly, the appliances used in production, the machinery etc. also lose value over time. This is also considered as one type of loss. 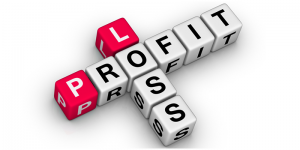 Profit- Profit is one of the main segments of the revenue statement. Calculating profit is very simple; total revenue minus total expenditure. Although looks simple from outside, the information could give you multiple types of profits through different fronts. Which product achieved most profit and which one did not, can also be verified in the profit section. Gross Profit- Gross profit is equal to revenue minus cost of goods sold. Gross profit decides the amount that could be spent on human capital, utilities and other expenditures that might help the business grow and expand. EBIT- EBIT (earnings before interest and tax) is the remaining value after subtracting OPEX and COGS from the total earnings made by the firm. It is also important to note that at this point the interests or tax reductions have not been calculated. That gives a clear picture of the performance of the business as a whole. EBITDA- Earning before interest, tax, depreciation and amortization (EBITDA) helps measure the profitability of a business. It mostly deals with the non-cash elements of the production, and that is why this section is not treated as important as the profit section for example. With a clear idea about these concepts if one approaches the profit and loss statement, it would be a far more comprehensible document to go through. It is well advisable for business owners to read their business’s P&L statement in order to remain rooted in the reality of their own performance; before any decision on the business.